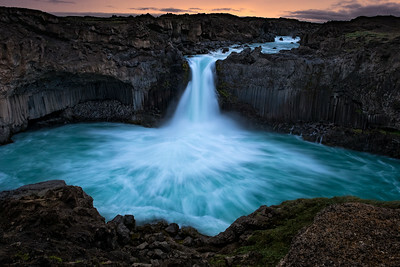 My personal favourite "Top 16" images from 2016. 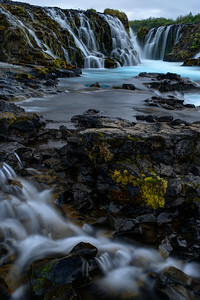 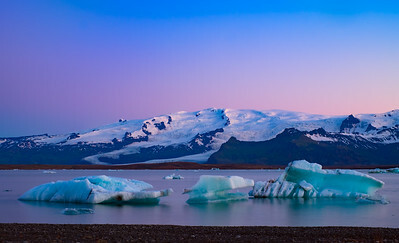 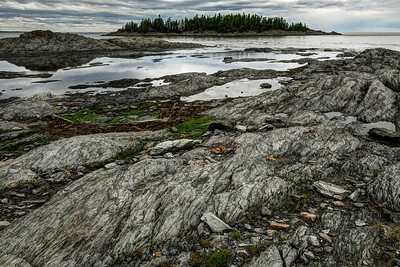 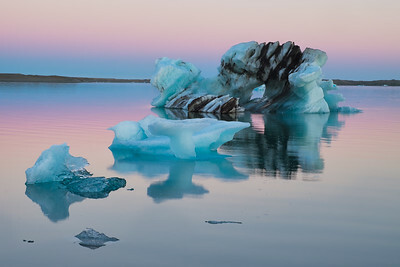 This year, they are all landscape photographs from either Iceland, Canada, or New York State. 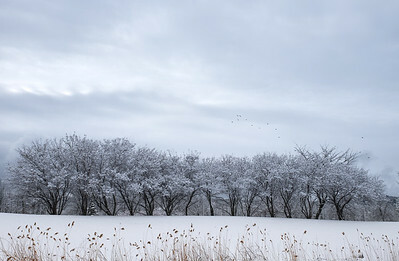 The skies clear above a small stand of snow-laden trees after a winter storm in Rigaud, Quebec Canada. 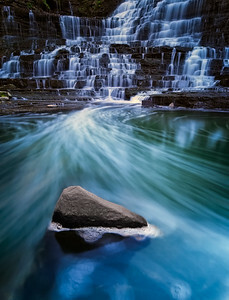 A rock splits the current at the foot of Albion falls waterfall in Hamilton, Ontario Canada. 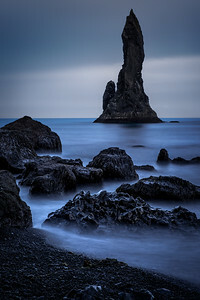 Long exposure view of the dramatic Reynisdrangar (basalt sea stacks) situated under the mountain Reynisfjall near the village of Vík í Mýrdal on the southern coast of Iceland. 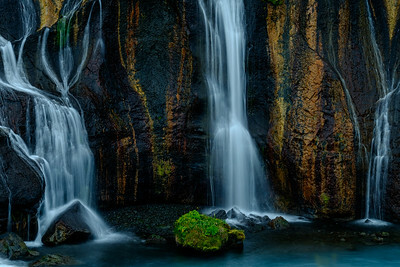 Multiple waterfalls fall into a river gorge at Sigöldugljúfur in the Icelandic highlands. 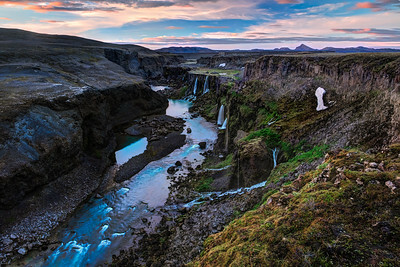 The early rays of the morning sun strike the colored hills of Frostastdavatn in the Landmannalaugar region of the Icelandic highlands. 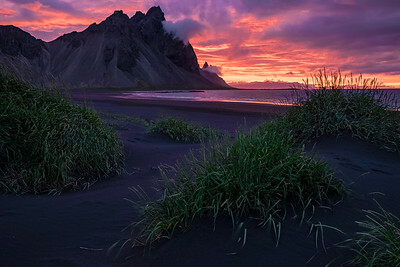 The midnight sun rises over the jagged peaks of Vesturhorn in south Iceland. 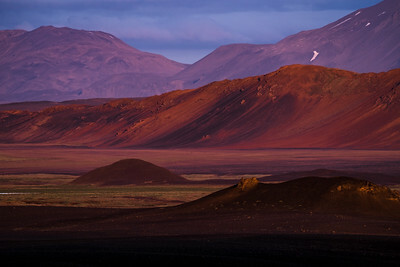 The first rays of morning sun strike the hills of the Ódáðahraun desert in northeast Iceland. 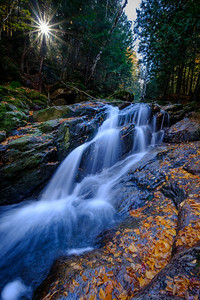 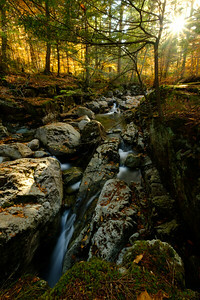 A small waterfall on the La Pruche stream trail in Mont Tremblant park, Quebec Canada.